After they land the big one, your fisherman will may want to celebrate with a cigar. 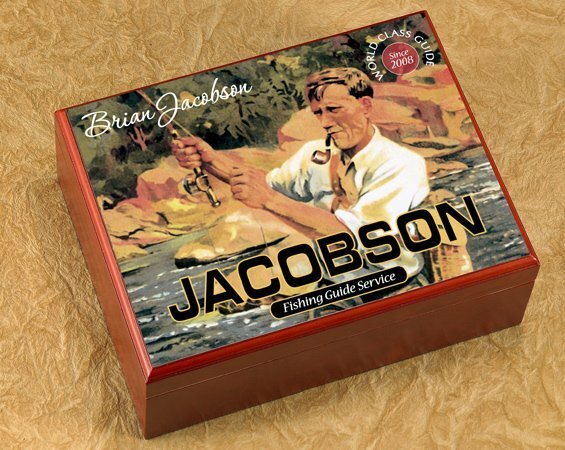 This personalized humidor will not only keep their cigars close at hand, it will also announce their skills as a world-class fishing guide! 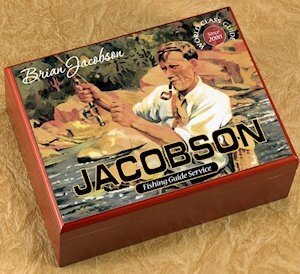 The vintage look and bits of fishing wisdom finish off our world-class gift. Humidor measures 9 1/2" by 3 5/8" by 7".